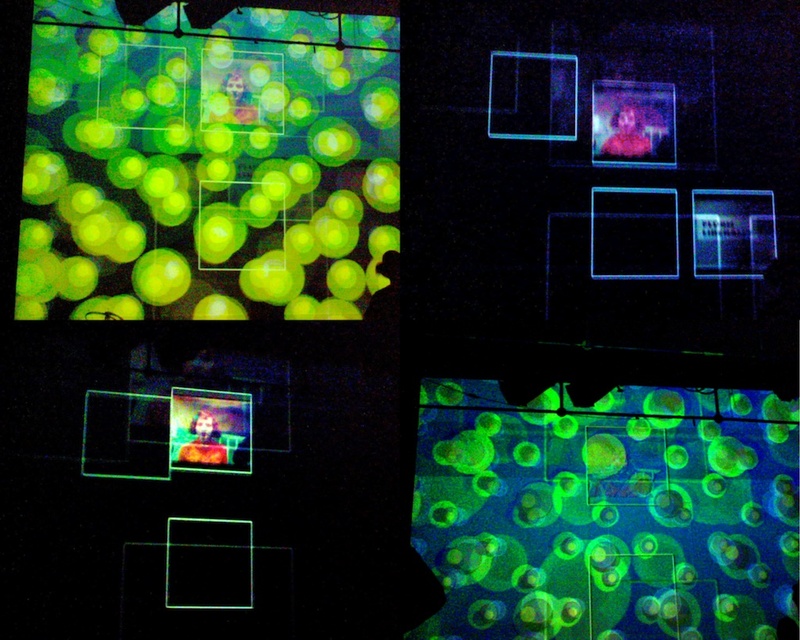 The project “Rip my Disk”, presented at Interactive Futures 2006, brought mobile art to the dancefloor. It compromised privacy by displaying personal content to the big screen. In an augmented VJ performance, visitors entered into a dare by letting the Corebounce team “rip” multimedia contents off their personal mobile phones with the Soundium program to get exposed (“virtually naked”) on the dance floor. Others, not so akin to risk taking, simply enjoyed to employ their mobile phones for interactive painting as well as sending media sources such as live video and image material. 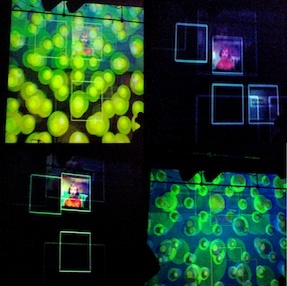 The sent media were used as personal artifacts, and were continuously adapted and integrated into the live visuals performance. The result was the personal enhancement of the space around the media owner’s location. The project also demonstrated how mobile communication technologies can easily be made accessible to artists or performers. This entry was posted in Digital Art and tagged Corebounce, Digital Art Weeks, Interactive Futures, Live Visuals, Matthias Specht, Mobile Computing, Portfolio, Privacy, Scheinwerfer, Simon Schubiger, Steve Gibson on June 25, 2010 by robot.